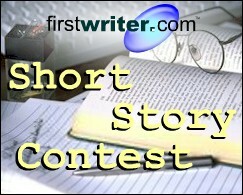 The deadline for firstwriter.com's Seventh International Short Story Contest has been delayed by one month to May 1, 2011 to allow for last minute entries. The winner of the competition will receive a cash prize of £200, or the equivalent in your currency (that's around $400). Not only that, but there will also be ten special commendations awarded. All eleven winners will be published in firstwriter.magazine and receive firstwriter.com vouchers worth $30 / £20 / EUR30. These vouchers are enough to cover the cost of creating an annual subscription to firstwriter.com, allowing access to our daily updated databases of over 150 writing competitions, over 850 literary agencies, over 1,300 book publishers, and over 1,300 magazines – as well as the option to receive daily alerts by email of new and updated listings which match your interests. Do you write for pleasure? Have you ever thought – even for a fleeting moment – about publishing your work? How do you know when it is time to shift from writer to published author? For some writers, this is never going to happen because they just aren’t interested in taking their writing to the next level. They love writing and they don’t care about publishing their work. They just want to write when they feel like it. They do not relish the idea of writing for someone else or meeting deadlines. They would rather no one reads their poetry, stories or journal entries. They just want to write what they want to write when they want to write. 1: Write something that is wanted/needed by a specific audience. Avid readers of romance or adventure novels, people who are seeking help with a problem or issue, folks eager to learn something new or those who devour young adult fantasies, for example. 2: Check your competition. Is your book up to par? Does it have everything it needs to qualify as a good book for preschool children? Is there a need for another book on cooking with herbs? What makes your self-help book for children of alcoholics different than what’s already on the market? 3: Study the publishing industry. You may not relish the idea of going back to school and learning about something as large and complex as publishing, when all you want to do is quietly produce your book and be on your way to stardom. In order to succeed as a published author on even a small scale, you need to know something about how the world of publishing works. What are your publishing options? What are the possible consequences of your choices? What are your responsibilities as a published author? Skip this step and you will be in over your head. 4: Write a book proposal. You may need a book proposal in order to get a foot in the door with the publisher you want. But the main reason for writing a book proposal is for you. A book proposal will tell you whether you have a book at all – whether it is a valid project. It will help you to determine if you have an audience for this book, who they are, how many there are and how you will reach them. Without this knowledge, you could become one of the 76 per cent of authors who fail each year. 5: Hire a good book editor. This step could make the difference between you landing a publishing contract or not and whether your book will be read and enjoyed or not. 6: Establish and build on your platform. Publishers want to know that an author has a platform – a way of attracting potential customers and connections that will help sell books. Whether you choose to go with a traditional royalty publisher or not, you need a platform. Think about it. If you were to publish a book today, how many people would buy it? If you’ve been hiding away in your writing room for years secretly writing, how would anyone know about you and why would they buy your book? What an author needs, as much as he needs to write a good book, is a following – a way of attracting readers. One way to develop an audience is to submit articles on your topic or stories in your genre to a variety of print and online publications – lots of them. People who enjoy reading your stories or your articles will surely want to read your book. While you are writing your book, you should find ways to become known to your audience – get involved in groups and online sites related to your topic/genre. Launch a newsletter for your audience. Use your connections to reach your readers – ask to be guest blogger at your mentor’s popular blog, ask your pastor if you can present a workshop related to your book’s topic at the church, perhaps your former boss would announce your book to the company mailing list, for example. 7: Plan your marketing strategy. In today’s highly competitive publishing climate, it is crucial that you think about marketing and promotion even before producing a book. And promotion is ongoing for as long as you hope to sell copies of your book. Examine your skills and propensity for various promotional activities. This would be a good time to sharpen and add to your skills. But you also need to know what it takes to promote a book – most new authors do not. As you study the publishing industry (number 3 on this list), you’ll begin to understand why the author must develop a marketing plan and what book promotion entails. The time to plan your strategy is before you decide to publish. Publishing is not an extension of your writing. It is not a natural course that writers can take using the same mindset and skills they use when writing. Publishing is a business – a fiercely competitive business – and, when you decide to enter into this world, in order to succeed, you must start thinking like a businessman/woman. Follow these seven steps and you will experience a greater level of success. Patricia Fry has been writing for publication for over 35 years. She has 33 books to her credit – most of them related to publishing and book promotion. Patricia offers 7 online courses for writers and authors, including a course on how to build your author’s platform. www.matilijapress.com/courses.htm. www.patriciafry.com. Visit her publishing blog daily: www.matilijapress.com/publishingblog. A poetry anthology is being planned, with all proceeds to be donated to the the Salvation Army or the Red Cross in Japan to help radiation, earthquake, and tsunami victims. The publishers describe the purpose of the anthology as "to display to Japan our feelings of love and concern for the hell they have and are currently enduring", and would also like to send a copy to libraries in Japanese cities and towns that were hit the hardest. The publishers invite submissions of any kind of poetry as well as haibun (stating your name, city and country) to svtojapan@gmail.com. A photo or artwork is also required for the cover. Please send your original work to the same email. The deadline for submissions is May 15, 2011. Recently we've noticed a number of feedback comments from subscribers using our Publishers Database which warn other users away from certain publishers because they use POD. The users were perfectly right to warn other subscribers that these publishers charged fees, but seemed for some reason to associate fee-charging with POD, which is quite wrong. POD has got nothing to do with fee charging, vanity presses, or self-publishing. Nonetheless, this seems to be a commonly held misconception. So – just to set the record straight – what exactly is "POD"? POD stands for "print on demand", and it is a method of printing which has become possible thanks to advances in digital printing. In the olden days, setting up a print job was a lengthy and expensive process – so you had to guess in advance how many copies you were ever likely to need, and then print them all at once, then warehouse them all until they were needed. You could be paying to store them for years, and if you overestimated the amount you needed you might ultimately end up having to destroy most of the copies you'd wasted your money printing. On the other hand, if you underestimated what you needed you might find you either couldn't fulfil all your orders (the book would be "out of print" and you would miss out on potential sales) or you might have to print a second edition, incurring all the costs of setting up the print job for a second time and having to do the same risky guesswork all over again. Print on demand technology allows short runs or even single copies to be printed without a lengthy set-up process, so publishers can print books as they are ordered, eliminating warehousing costs and neutralising the risk of having to guess sales in advance. It also means that books need never be out of print, as a new copy can be produced whenever it is required. The advantages of such technology make it very attractive to publishers, and you will find that major international publishers will be seeking printers who can provide POD solutions, or applying pressure on their existing suppliers to adopt such technology. And again, we're not talking about cheap backroom operations here – we're talking about publishers worth billions of dollars placing multi-million-dollar contracts with large publishers turning over millions themselves. This same technology makes it easier for smaller publishers (including vanity presses and self publishers, but also niche literary presses and the like) to operate, but it is in no way unique to them, and is therefore in no way the mark of a vanity press or self publisher. You'll find that such companies invariably use computers for the same reason, but does that make a computer a sign of being a publisher to avoid? If you're looking to be a commercially successful writer then you definitely should not consider using self publishing or vanity press services – but the trick to avoiding them is to avoid any publisher who asks you for money, or refers you to someone else (like a copyeditor) who asks you for money. If you decide to avoid any publisher who uses print on demand technology then you'll not only be excluding many of the world's biggest publishers, you will probably find before long that you don't have any publishers to choose from at all! Submissions are being sought for The Phoenix Rising from the Ashes: Anthology of sonnets of the early third millennium / Le Phénix renaissant de ses cendres : Anthologie de sonnets au début du troisième millénaire, an anthology from Aux Éditions Describe Adonis Press, Ottawa, Ontario, Canada, who expect it to be the first major anthology of sonnets in the Third Millennium. The publishers are looking for 5–10 sonnets from interested poets, in English, French, and any other language (provided that poets provide a linear prose translation of sonnets in languages other than English and French. I once read that "Professional writers sell before they write: amateur writers write before they sell". These were the words of Linda Konner, editor of Woman's World Magazine (1991), and author of the book, How to Be Successfully Published in Magazines. It does make a lot of sense to research the magazine first and write to fit their needs. But how many of us do that? We have "the perfect story" that every editor will be standing in line to read. NOT! I've earned enough rejections in my thirty-plus years of writing because I knew nothing about the magazine or what the editor wanted in the first place. "The perfect piece" still sits unpublished in my filing cabinet, long forgotten and turning yellow with age. A waste of my time and postage, not to mention a waste of good writing. websites and their writer's guidelines are accessible from the site. All you have to do is look in the right place – over a thousand can be found at www.firstwriter.com/magazines. If you don't have access to a computer or the internet, your local public library usually has one or two you can use an hour or so a day for free. You can print the guidelines for a few cents and have a hard copy on hand once you leave the site. Writers have it easy these days and can do their research in a lot less time than back in the day when I first started writing. I mailed out endless letters requesting writer's guidelines and sample copies. By the time I waited three or four weeks for the magazine to come in, I had already moved on to another project and the magazine became just another "must read" piled in the corner of my little home office. Months passed, and they were never touched. After months of dust collecting, they finally get tossed, forgotten and never read. It is so easy researching markets right here on the net as we now know it today. Research while the topic is hot – while the idea is fresh and you know you have something good that someone wants to read. You just have to figure out which magazine editor will want it. For all its worth, request an editorial calendar or theme list and read it line for line. Do that and half your work is done. guidelines to be sure. Normally, an editor will respond to a query within two to four weeks whereas manuscripts usually gets tossed to the slush pile and may not receive a response for three or four months. Editors are busy people – writers have the misconception that editors sit behind a desk all day reading – that's so far from the truth. cheque from the magazine for your hard work. ArtsFest are pleased to announce that applications for artists to apply to ArtsFest 2011 are now open at http://www.artsfest.org.uk. There are three application forms available: a Performing Artists application form, a Visual Artists application form and a Film Makers / Digital Artists application form. To apply, click on the "Apply" tab at the top of the website homepage where full advice and guidance on completing each of the application forms is available. The application closing date is 5pm Monday April 18. ArtsFest will take place on September 10 and 11, 2011. If you have any questions with regards to completing your application call +44 (0) 121 464 5678 or email artsfest@birmingham.gov.uk. Brambling Books are looking for unpublished short stories for publication in one anthology of mystery and crime thrillers and another of adult urban fiction. Each anthology is planned to contain around ten stories. Submissions should be fast paced, between 3,000 words and 10,000 words in length, and include believable characters and an intensity of emotions. The deadline for proposals is April 2, 2011. A 200 word abstract should be submitted in the first instance to RML@stridebooks.co.uk.